Member, International Para-Powerlifting, Ahmad Alraisy; Minister of Sports and Youth Development, Barr. Solomon Dalong; Divisional Head, Corporate Communications, Heritage Bank, Fela Ibidapo and member, International Para-Powerlifting, Alajarmeh Ahmad, during the official opening of International Para-Powerlifting Competition, host by Nigeria, Sponsored by Heritage Bank plc held at Oriental Hotel, Lekki, Lagos.Photo: Heritage Bank. 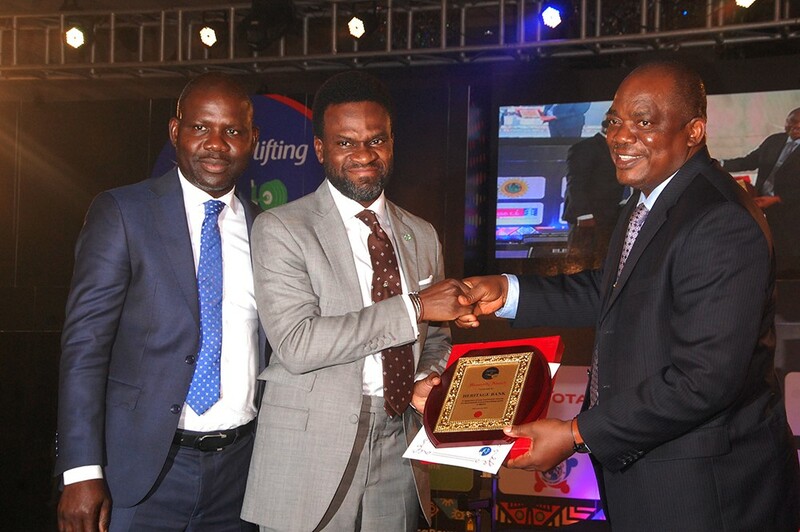 Regional Head, Commercial Banking, Lagos, Heritage Bank Plc, Abiodun Agbaje;Divisional Head, Corporate Communications, Heritage Bank, Fela Ibidapo; and Permanent Secretary, Federal Ministry of Youth and Sports Development, Olushade Adesola, at the grand finale of the Lagos 2019 international para lifting competition in Lagos... on Wednesday. Photo: Heritage Bank. 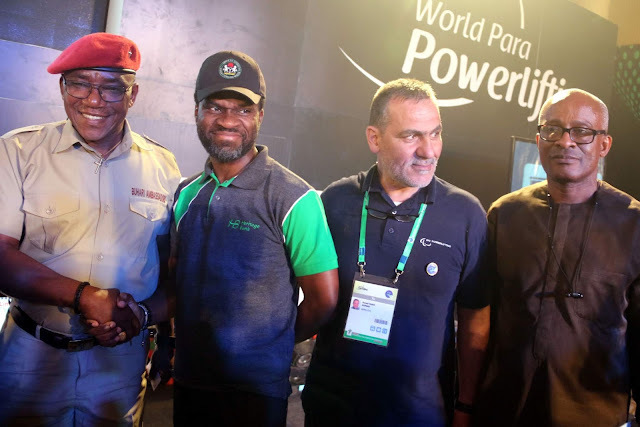 Reacting to the athletes performance, Feyisetan Are, nationBank.oach of the Nigeria Para Powerlifting team, said that he was elated by the athletes performance.